Professor Yang’s research deals with the value of using diverse methods and lenses in biblical interpretation. Her work pays special attention to the convoluted role of biblical interpretation related to the several binary “isms” in our society, which divide people into the superior in-group and the “inferior” other. 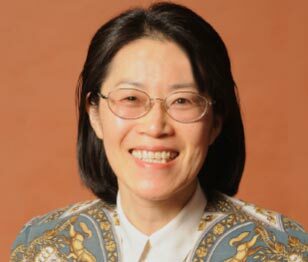 Professor Yang’s teaching areas include the Synoptic Gospels, Asian American Biblical Hermeneutics, Biblical Languages, Second Temple Judaism, and the Hebrew Bible. She believes that a proper use of multiple interpretive methods and lenses will lead the reader in multifaceted ways to hear the essential biblical call for justice and peace. From this vantage point, Yang is currently working on a research project that examines the notion of the “other” in the Bible. “Has Jesus Ever Condemned Divorce?” In Rita Nakashima Brock, Jung Ha Kim, Kwok Pui Lan and Seung Ai Yang, Eds.